it would be far too intense. Since trout do not have the ability to adjust the level of light they see, they often look for shelter where it is shady and cool. It would be like you driving your car on a sunny day without sunglasses, and since trout cannot blink or squint, they need areas that offer shade. Because of this, if you go with a spinner that is overly bright, rather than interest the trout, it will be spooked and seek out shelter. Spinner flash can actually affect the trout's curiosity in a negative way. For this reason, remember to consider both reflection and flash and how they would look in the water you like to fish. Both reflection and flash are affected by the amount of sunlight on the day you are fishing. For this reason, when fishing on a beautiful, sunny day, stick with spinners that have a duller finish. If you are fishing on an overcast day, you want the spinner to be bright. This is why it is important to have a number of different spinners in your collection. You might start your day fishing in bright sunlight only to have clouds roll in. If you were to continue fishing with a dull finished spinner, you would notice that the biting had stopped. 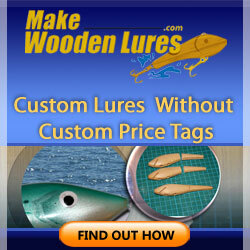 In this case, you could simply change out the spinner to something brighter and keep on fishing. 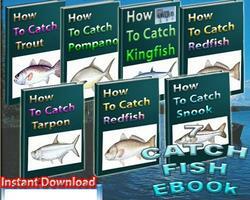 7 Great Ebooks About Fishing. Learn How You Can Quickly & Easily Catch a Big Fish The Right Way Even If You're a Beginner.